Camp for €18,- a night at Camping-und Ferienpark Spadener See in low season with CampingCard ACSI. 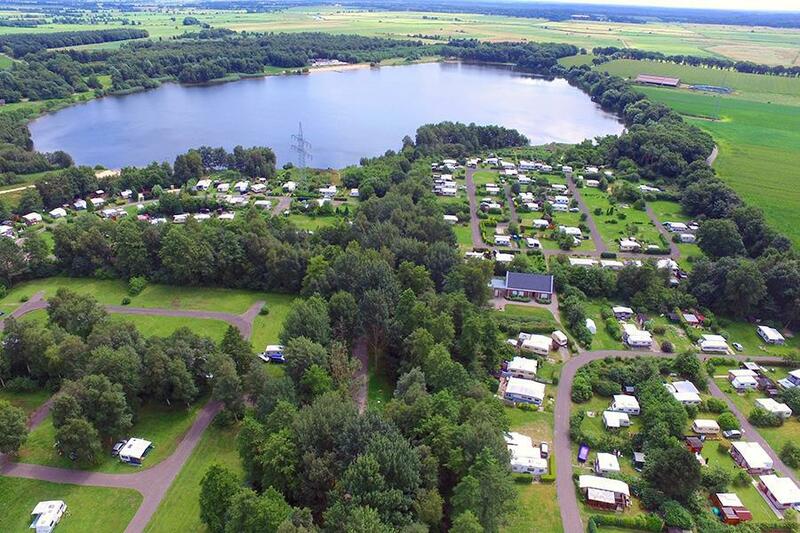 Camping-und Ferienpark Spadener See, located in Spaden (Lower Saxony), is a campsite with 120 touring pitches and 220 year round pitches. With your CampingCard ACSI you can camp on one of the pitches during the following periods: 15-03-2019 - 14-04-2019, 24-04-2019 - 06-06-2019 and 01-09-2019 - 15-10-2019. At this campsite you can not only use your CampingCard ACSI for inexpensive camping, you can also use your ACSI Club ID (as an alternative ID). Campsite located on a large lake, with the option of waterskiing. The port city of Bremerhaven, with various museums and a large shopping centre, is about 6 km away. Mooie ruime camping waar alles klopte, rust en ruimte mooie omgeving, goede uitgaansmogelijkheden. Bremen leuke stad, Bermerhaven echt de moeite waard. Je kunt er echt tot rust komen maar ook veel ondernemen. Een echte aanrader. Would you like to book Camping-und Ferienpark Spadener See or request more information? You can do both using the information below. A27 Bremerhaven-Cuxhaven, exit Spaden, Follow campsite signs, well signposted. CampingCard ACSI will send your information request to "Camping-und Ferienpark Spadener See".